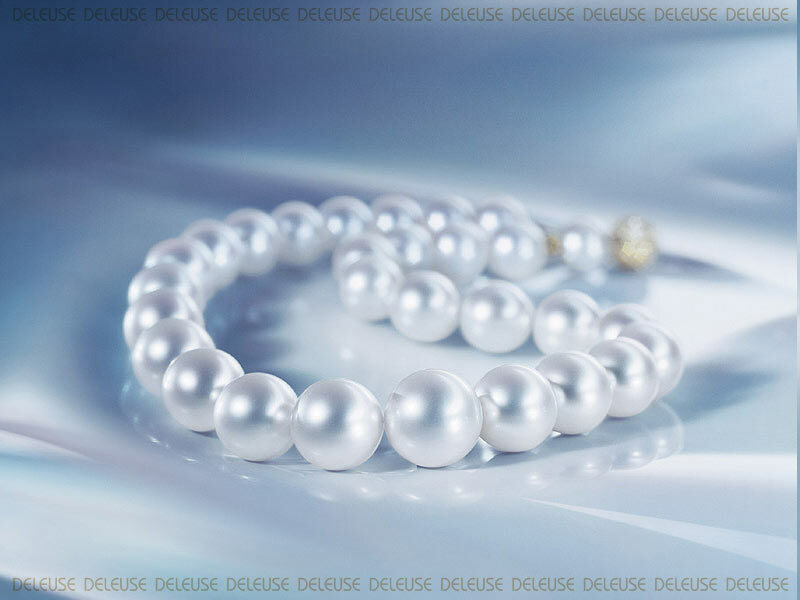 Perfect, lustrous and without blemishes, this white South Sea Pearl strand graduates in size from approximately 12.3 mm to 15 mm with white gold & diamond clasp. Each pearl is gem quality. SOLD, NO LONGER AVAILABLE $35,500.